KEYSET will display the settings of the CapsLock, NumLock, ScrollLock and PrtSc (Print Screen) keys, and allow you to change them. COPYRIGHT 1988, 1989 Phil Herron. ALL RIGHTS RESERVED. THE USE OF OR THE INABILITY TO USE THIS PRODUCT. using backed up or noncritical data and files. cost, for evaluation on a trial basis. own machine, with the programs and data that you normally use. set forth in the LICENSE TERMS section below. with the program and documentation files. REGISTERED version of the program and documentation. or enhancements made to date. the Evaluation menu, discussed in section 0.2.2 below. appropriate number of registrations must be made. "QUANTITY DISCOUNT" section of the Evaluation menu. by registering several products together. (1) Complete a separate registration form for each person. (2) Include only one standard shipping and handling charge. order for the total, in one envelope/mailing cover. of the program, the latest available at the time of this release. The program itself is identical to the REGISTERED version. become separated from the program file. evaluating or registering this product. and pressing the RETURN or ENTER key. It next displays the Shareware Product EVALUATION MENU. other DOS utilities. It indicates that more is available. 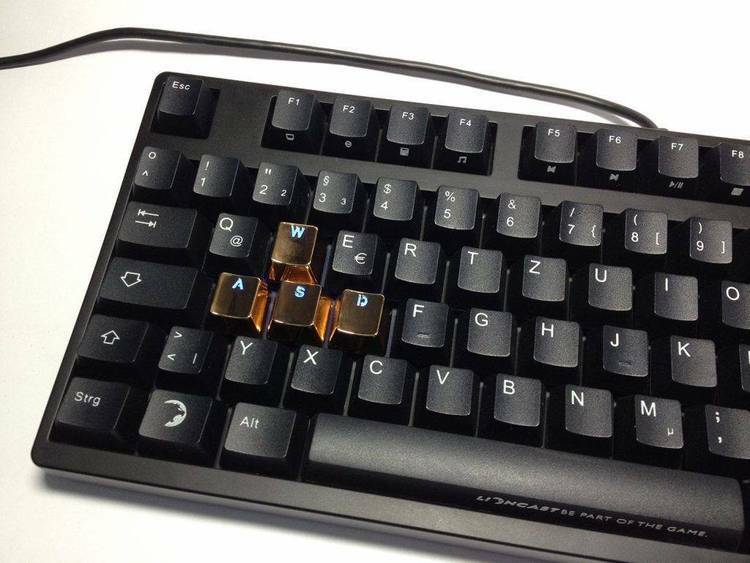 typing key to continue (space bar is a convenient key to use). where it's been, you can order a copy straight from the source. See the SHAREWARE PRODUCT CATALOG section at the end of this file. effect when the program is started. DOS ErrorLevel is now returned upon termination. Some accounting software accepts only UPPER-CASE CHARACTERS. status indicators can end up showing erroneous results. KEYSET can solve most of these problems. command line or in a batch file. to a locked up system. PC, XT, AT or compatible. DOS version 2.1 or later. The program can be run from diskette or from hard disk. files to a drive and directory of your choosing. information, then wait in interactive mode. to separate the pairs for better readability. halt the program with an error message. KEYSET S-C-N-P- Clears SL, CL, NL, disables PrtSc. KEYSET S+ C+ N+ P+ Sets SL, CL, NL, enables PrtSc. KEYSET P+N+ Enables PrtSc, sets NumLock. KEYSET SCNP Halts with error message. S, N, C and P are recognized. + and - symbols are recognized. states for the first three keys shown above are ON or OFF. PrintScreen can be either ENABLED or DISABLED. When you're satisfied with the settings, press . the settings but can't remember the command line syntax. but was designed for unattended batch file operation. see the "IF ERRORLEVEL" batch command in your DOS manual. 1 - Illegal parameter specified on command line. 2 - Parameter is missing symbol + or -. the default colors in effect when the program is started. program that particularly "bugs" you. what we thought we understood when we wrote it. (or at least the file name you specified) was not found. resides the "current" drive & directory. before we can begin to resolve it. 1 - Version of DOS you are using. 2 - Machine type, drives, memory, etc. 3 - Programs executed prior to the problem. 4 - Problem program's name and version number. 5 - Where and how you obtained the problem program. 6 - Address and/or phone number where you can be contacted. files, or any batch files used to run the program. 8 - Any relevant printouts. to print a pre-addressed mailer and a problem report. with complete details of your requirements. it may be updated whenever products are added or changed. outside the U.S. and Canada, add an additional $3.00. user unless the software meets your needs. "dir" or "chkdsk" utilities for displaying drive information. Check_Memory_space reports standard system memory (RAM) space usage. percentage. It is faster and more convenient than the DOS "chkdsk"
utility for displaying system memory information. characters to the appropriate number of spaces. when several files are combined using the DOS "type" command. former boundaries in combined files. subdirectories on the default drive. presetting at system bootup or between applications. reports printer and port number, status byte and status condition. setting up compact menu systems, demos and tutorials. for display, and pauses after each screen of information. three characters, and pauses after each screen of information. large files with a limited-filesize memory-resident notepad utility. files that will fit on a disk.